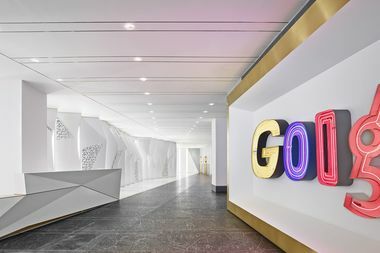 MANHATTAN — New Yorkers will get a chance to access some of the city's off-limits spaces — including Google's Chelsea headquarters — during this fall's Open House New York Weekend. More than 200 buildings will open their doors during the 13th annual OHNY Weekend on Oct. 17 and 18. The buildings include Google's NYC headquarters, the New York State Pavilion in Flushing, Queens, and parts of the Brooklyn Public Library usually closed off to the public. Most of the OHNY Weekend sites are accessible free of charge, but certain locations require advance reservation and are subject to a $5 fee per reservation. For $150, visitors can purchase a Weekend Passport which allows the passport holder and one guest to skip the lines at sites that do not require advance reservation. "The benefit of OHNY Weekend Passports is not that visitors will get extra access to certain areas, but that if there is a line, they can jump to the front of it. Some of our sites have wait times of upwards of an hour during OHNY Weekend," Elis Shin, OHNY Development and Communications Manager, told DNAinfo New York. Open House New York, a nonprofit organization, will publish a full list of more than 200 participating sites on its website in early October.